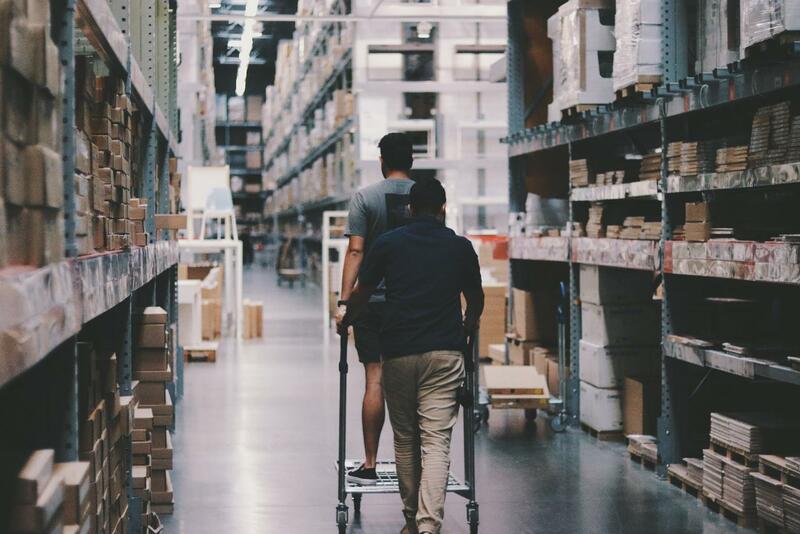 March 22 2019 - Implementing a warehouse health and safety plan is an integral part of ensuring employee wellbeing, and getting it right is key ensuring a smooth operation. That's why we've asked Dan Casey, Marketing Manager at hydraulic lifting equipment manufacturer Penny Hydraulics, to share his top tips for improving warehouse safety. All employers are responsible for the wellbeing of their employees. This is enshrined in law in the Workplace Regulations 1992. If you operate a warehouse, you have a duty to implement and maintain health and safety measures, from following building regulations and operating machinery to workplace procedure and employee training. In a busy work environment, it's extremely important to keep on top of all health and safety procedures. Aside from the fact that it's a legal requirement, follow strict procedure is key for employee wellbeing. If you don't have the correct safety measures in place, then you are putting your employees at risk of injury. Poor procedure can also be very costly for a business, whether that is time off due to injury or the potential for legal damages. In this article, I'm going to share some top tips to help improve your warehouse safety. Not only is training vital for each individual job role, it's also important for overall safety. Human error is responsible for a lot of accidents that take place in the warehouse environment, both with and without vehicles. And, one key factor in this is a lack of training. Employers must train their employees on the correct ways to lift and carry loads, use ladders and other equipment, and operate vehicles. You must also make sure that your employees are taking regular breaks and aren't working for long periods of time. Employers are responsible for ensuring that their employees have the correct tools to carry out the job at hand. PPE is the clothing and equipment that will protect workers from hazards and can include hard hats, hi visibility clothing, safety goggles, boots, gloves, and overalls. Exactly what is required will depend on the particular job and workplace, but enough should be available for all employees that will need it. The goal of PPE is to protect employees from potential hazards. When deciding on what PPE to use, you should consider the conditions of your warehouse. For example, are there outside areas where your staff may be working against extreme weather? Is there the potential for materials to fall? Will workers be in contact with corrosive substances? Will they be exposed to loud noise? Though it isn't possible to stop every accident from happening, correct PPE will help protect workers should the worst happen. Forklifts are commonly used in warehouses, and it'll come as no surprise that they are responsible for a large chunk of accidents that occur. Around 1,000 workers are injured due to forklifts each year (Fork Lift Truck Association), so ensuring safe vehicle usage is paramount. Only fully certified workers should operate machinery and, if you find someone misusing equipment, you must enforce strict disciplinary procedure. To take safety levels a step further, it is a wise idea to install bumpers on any racking, columns, and dock areas. This will minimise the potential damage to forklifts, employees, and the warehouse itself should something go wrong. Increasingly, warehouses with mezzanine levels are turning to goods lifts as a safer alternative to the standard forklift. Not only do they require fewer mechanical movements - reducing risk of injury - they also require less certification than a standard people-carrying lift. A key part of warehouse safety - and efficiency - is devising a strict route plan. Traffic routes around the warehouse need to be suitable both for the people and the vehicles using them. When vehicles and pedestrians must use the same route, you must ensure there is enough space to separate them. When it comes to devising the plan itself, you'll want to minimise the need for reversing and, where possible, avoid putting in sharp bends and blind corners. It's also wise to think about how you might communicate this plan with visiting drivers, some of which may have a limited understanding of English. To get around this, think about translating your site rules into common foreign languages, or use pictograms for universal understanding. By following the above tips, you'll be able to create a working environment that is safe for all. But, putting these tips into practice is the easiest part of the job. The hard part is making sure these procedures are adhered to in the long-term. To do that, you must conduct regular safety audits. Audits should be performed on all your machinery and equipment. It is wise to implement daily, weekly, and monthly safety check-ups so that you can identify potential hazards and unsafe working conditions before they cause any problems. It's good practice to put together a checklist that assesses every aspect of the workplace so that staff in each zone know what to look for. Putting a good health and safety procedure in place will not only improve employee wellbeing, but it will also save you money in the long run. Follow this guide and you'll be on the right track to creating a safe workplace. This article has been designed as an introductory guide to warehouse safety. For full details and rules, please see the HSE website.